If you watched CNN's Democratic debate Tuesday, you may have seen a few ads taking aim at Walmart. The commercials featured current and former Walmart employees critiquing the company's employment practices. "The executives and management treat us like we're disposable," a former Walmart worker identified as "Isaiah" said in one of the ads. 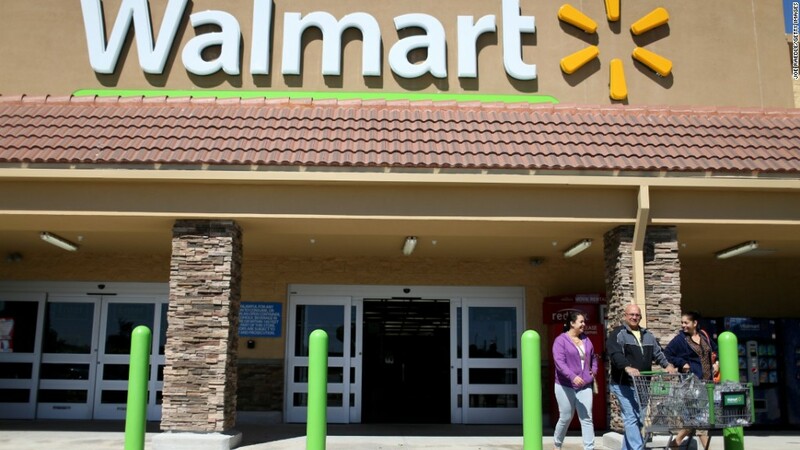 The group behind the commercials is the United Food and Commercial Workers International Union, which is taking part in a wider campaign dubbed "Making Change at Walmart." The union said its goal is to bring attention to the retailer's labor practices, which it said include low wages, fewer working hours and difficulty in scheduling. "This is the ad that Walmart doesn't want you to see, but the candidates running for president need to see," said Jess Levin, communications director at Making Change at Walmart, in a news release. One of the commercials directly addressed presidential candidates on both sides of the aisle, including former Secretary of State Hillary Clinton, U.S. Sen. Bernie Sanders and leading Republican candidate Donald Trump. A quick search of the hashtag, #OurWalmartVoices, which featured prominently in the commercials, yielded tweets that both praise and condemn the ads. @Bobshine89 wrote, "Real #DemDebate winner? That ad by #OurWalmartVoices." A user named @Calebbonham, however, did not appear to be a fan of the campaign. "Dumbest thing said all night was everything on the #OurWalmartVoices commercial," he tweeted. A Walmart spokesman said in a statement early Wednesday that it was working to raise employee pay and create other opportunities for its workers. "While the UFCW is committed to spending its members' hard earned union dues on political ads attacking a company that employs 1.3 million Americans, Walmart will continue to focus on our commitment to spending $1 billion this year alone to not only raise wages, but also provide additional skills-based training and other opportunities to build great careers," a Walmart spokesman said.